I was never a fan of Risotto until my husband took me for a surprise holiday on an Italian cruise ship. The food was amazing and every evening we were offered a Risotto as a second course. By the end of the holiday I was a convert and begged one of the chefs to give me some tips on how they cooked it. ‘Use the very best stock – homemade if possible and add it gradually’ was drummed into me. Always use the finest ingredients and “take your time”, “don’t rush it”. 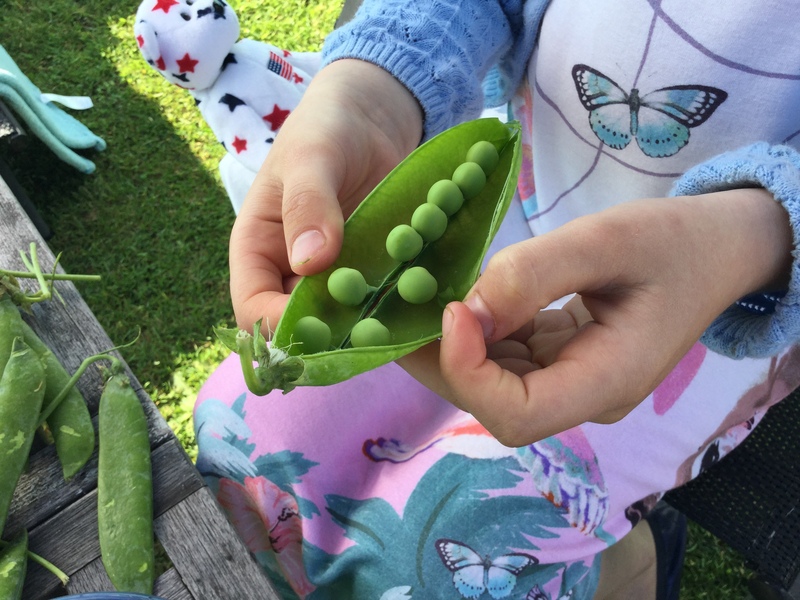 My grand-daughter was coming to stay with us on the Isle of Wight and when I asked her if there was anything special she wanted to do – apart from being on the beach all day, she wanted to shuck those Pea ‘thingies’ so I decided to make her one of our favourite risottos. Needless-to-say, she had three helpings! Add the peas and broccoli to a pan of boiling water and simmer for a couple of minutes until just tender. Drain into a colander and put to one side. Heat the butter and olive oil in a large pan and add the onions. Sauté for 3 to 4 minutes (do not allow to brown). Add the garlic and continue cooking gently for another two minutes. Add the rice and stir thoroughly for a minute, making sure the rice is completely coated in the butter/oil mixture. Cook for a minute or two until the rice becomes translucent. Add the wine over a medium to high heat and stir continuously until it has been absorbed by the rice. Lower the heat to medium and add the stock, a little at a time, allowing it to be almost absorbed before adding more, stirring all the time. The rice will be cooked in about 15 to 18 minutes and should be lovely and creamy with a little ‘bite’ left in it. Adjust the amount of stock to get the right consistency, adding more hot water if necessary. Add the peas and broccoli and stir through until heated, adding the lemon zest, juice, black pepper and salt as well as a further knob of butter. Taste and add more seasoning if required. 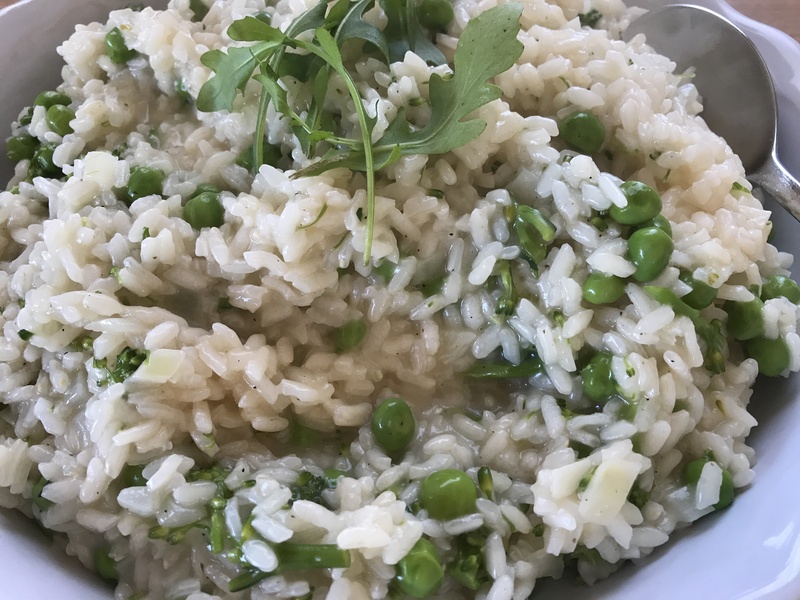 This entry was posted in Dinner and tagged Broccoli, Dinner, Gluten Free, Healthy Eating, Onions, peas, risotto, Supper, Wheat-Free. Bookmark the permalink.